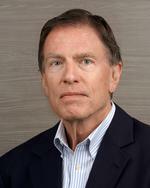 Doug Burkhardt is General Manager of Sales & Marketing for Hartson-Kennedy Cabinet Top Co. Inc. He has been in this position now for eight years, managing the Indiana-based company's sales force. Prior to Hartson-Kennedy, all of his jobs were metals related, working in the steel, aluminum, copper, and brass industries. Burkhardt recently sat down with the North American Building Material Distribution Association (NBMDA) to test his steel in a one-on-one interview that covered everything from the current state of distributor-manufacturer relations to his company's position in the marketplace to what he still finds to be a challenge in his job. NBMDA: What do you see are our industry's one or two biggest challenges of the moment? DOUG BURKHARDT: In our business sector, it's making sure customers know the value and advantages of laminate countertops versus other surfaces. Many times, customers are surprised to learn about many of the advantages of laminate countertops versus other materials and how, with today's myriad of color choices and profiles, laminate is not only an economical choice – it’s a choice that adds to the beauty of the kitchen and any other room in the home. I feel our industry needs to do a better job of getting this message out to the end consumer. Another challenge that we are all facing is finding qualified people in today’s job market. As the economy has heated up – which is a good thing – unemployment has fallen … another good thing. But it’s making it more difficult for us to find the qualified workers that we need. They're out there. We just have to work harder to find them. NBMDA: What is your assessment of the current state of distributor-manufacturer relations? DB: It’s truly a partnership. We're an extension of each other. So, we're seeing more collaborative efforts with our distributors to work to find solutions that are good for their customers which, in turn, is good for us all. NBMDA: Are you seeing any trends within the distribution channel? DB: We are seeing some companies reduce their in-house inventory levels while relying on their suppliers to have the material on hand that they need to continue to provide their customers with short lead time needs. Customers continue to want their orders filled "yesterday." NBMDA: What makes your firm stand out in the marketplace? What makes it unique? DB: Hartson-Kennedy is a fourth-generation, family-run company, celebrating 70 years in business this year with plants in Marion, Ind. (our headquarters); Gulfport, Miss. ; and Macon, Ga. Chris and Mike Kennedy are third generation owners of Hartson-Kennedy. We are a multifaceted supplier to the building products marketplace, able to address a number of customer needs. We provide post formed laminate blanks to our fabricator partners. Where appropriate, we also provide finished fabricated tops to Home Centers and custom and multifamily customers alike. We have added cultured marble vanities to our product offerings for our customers, and we have established a Project Department focused on multi-family and commercial opportunities. As the cheese has been moved in the marketplace toward more multifamily opportunities as well as needing more options from a one-stop shop, we have moved our focus to accommodate that change. NBMDA: Have you implemented or are you in the process of implementing any innovative approaches that you'd be willing to share with our readership? DB: We've added capacity to accommodate the "Just In Time" needs of our customers with a 20,000-square-foot addition at our Marion, Ind., plant. We're also putting together sales "experts" in various areas of our business to call on certain customer segments so that we can truly be problem solvers, bringing recommendations and adding value for our customers. NBMDA: Are there any unique market trends in the specific geographic markets you serve? DB: I think we’re seeing what others are seeing. Customers are looking for lighter colors – grays and whites – versus the darker colors. We are also seeing a demand for flat decks with no integral backsplashes, which allow customers to tile down to the deck and provide the look of stone in their kitchens. We're also seeing technology start to play a larger role in kitchen designs, including the ability to truly use the kitchen as an office versus the old days of needing a separate office in the home. NBMDA: What was the best piece of advice given to you early on in this business? DB: You need to ask good questions and be a good listener. Customers will tell you what they really need if you just get out of their way and let them. NBMDA: What advice would you have to others just now entering our field? DB: Focus on more effective marketing of your product! Hartson-Kennedy just brought on a Marketing Specialist in the last year – Kristen De Uriarte Kennedy – our fourth generation Kennedy. And we're beginning to make good use of social media, as well as developing an improved web site and more effectively promoting the features of laminate countertops. We have a great story to tell. But we have to be much more effective in getting that story out to our customers and to our customers' customers. NBMDA: What drives you? What do you consider to be the favorite part of your job? DB: I love working with my sales team and our Hartson-Kennedy team to reach a common goal. I'm focused each and every day on how we can achieve sales growth while providing our customers with what they need, when they need it. I'd be remiss if I also didn’t mention our great customers, most of whom I don’t view as customers, but as good friends. I like to tell people that my job consists of spending time with great people, and I get paid to do it! NBMDA: What's still hard? What's a challenge? DB: Laminate is an excellent value for our customers. And with the new array of colors along with profiles that mimic stone, we can bring our customers a product that looks good in the kitchen or elsewhere and frees up money for other home improvement projects, including cabinets. We don't get a lot of help from most of the media in this country – and, quite honestly, many of the Realtors – in promoting laminate. Too many are focused on stone. Our challenge and opportunity are to get the word out to the public at large that laminate countertops can provide the beauty and functionality that homeowners are looking for at a fraction of the cost of other materials. NBMDA: Finally, how has NBMDA been of value relative to you personally, your company, and its relationship with distributors? DB: In a number of ways. The NBMDA allows for Hartson-Kennedy to network with existing and potential new distributors through the face-to-face opportunities at the NBMDA meetings. We’re also firm believers in the concept of continuous improvement, and the speakers at the educational sessions at the annual meeting are always top notch! We've taken advantage of the educational programs offered through NBMDA. Through an award given to Missy O'Daniel of Web-Don at last year’s conference and gifted to Hartson-Kennedy, we had the opportunity to engage with TSL's Social Media X-Training, which has helped us tremendously to grow our online awareness. I think our membership and participation in the NBMDA shows Hartson-Kennedy’s commitment to the Building Products Distribution Industry and allows us to learn potentially new and better "best practices" through our meeting with the various members at the meetings – distributors, suppliers, and educators alike.